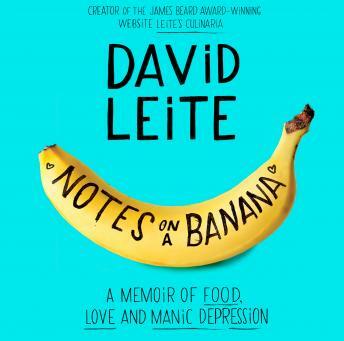 Notes on a Banana is his heartfelt, unflinchingly honest, yet tender memoir of growing up, accepting himself, and turning his love of food into an award-winning career. Reminiscing about the people and events that shaped him, David looks back at the highs and lows of his life: from his rejection of being gay and his attempt to 'turn straight' through Aesthetic Realism, a cult in downtown Manhattan, to becoming a writer, cookbook author, and web publisher, to his twenty-three-year relationship with Alan, known to millions of David’s readers as 'The One,' which began with (what else?) food. Woven throughout these stories are the dishes David loves—the tastes that led him to happiness, health, and success. A blend of Kay Redfield Jamison’s An Unquiet Mind, the food memoirs of Ruth Reichl, Anthony Bourdain, and Gabrielle Hamilton, and the character-rich storytelling of Augusten Burroughs, David Sedaris, and Jenny Lawson, Notes on a Banana is a feast that dazzles, delights, and, ultimately, heals.